The Riigikogu approved with 72 votes in favour (18 against) the Bill on Amendments to the Political Parties Act and Amendments to Other Associated Acts (439 SE), initiated by the Constitutional Committee, which specifies the size of membership required to form a political party. Chairman of the Constitutional Committee Rait Maruste noted that, according to the Act, a political party is now registered with at least 500 members. Earlier, at least 1000 members had been needed. “With this Act, the Riigikogu takes a step forward towards increasing the diversity of political parties in the parliament which was also a clearly expressed aim at the People’s Assembly,” Maruste said. He added that the Act specifies the bases for the financing of political parties and the supervision exercised over the financing. The Act improves the clarity of the financing of political parties and defines more specifically the sources of income of political parties. The Act also provides for more effective supervision mechanisms and sanctions, and improves and updates the reporting on the financial activities of political parties. In that regard, the proposals of the Political Parties Financing Surveillance Committee were taken into account. The range of the persons entitled to donate and the list of prohibited donations are specified. Restrictions are established on loan activity and the economic activities of political parties. According to the Act, a political party may not use public funds for conducting or carrying out an election campaign of the political party or a person who stands as a candidate on the list of the political party, with the exception of state budget allocations paid on the basis of this Act. The submission of the election reports of political parties has been replaced by quarterly reports published on the website of the Political Parties Financing Surveillance Committee. Political parties that fail to cross the election threshold but receive at least 2% of the votes will receive more support from the state budget and it will be increased according to the percentage of the votes received. The support will have to ensure greater and more equal opportunities for new applicants. The amounts to the political parties who remain below the threshold will come at the expense of the funds allocated to parliamentary parties. 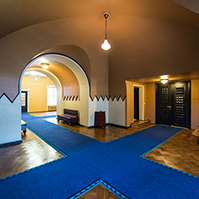 This provision will be implemented as of the commencement of the authority of the next Riigikogu composition. “Although political parties are non-profit associations in the legal sense, their financial-economic activities and the relevant reporting and supervision are regulated significantly more strictly than is the case with the regulation of ordinary non-profit associations, and this should create greater trust between political parties and the public,” Maruste noted. The Act enters into force on 1 April 2014. Priit Toobal and Indrek Saar took the floor in the debate in the course of the third reading. The Resolution of the Riigikogu “Amendment of the Resolution of the Riigikogu “Formation of the Security Authorities Surveillance Select Committee”” (534 OE), submitted by the Estonian Centre Party Faction, was passed with 42 votes in favour (2 votes against). Thereby, Enn Eesmaa is appointed a member of the Select Committee instead of Aadu Must, and Priit Toobal his alternate member. 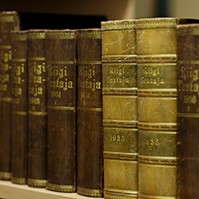 The Resolution of the Riigikogu “Amendment of the Resolution of the Riigikogu “Formation of the State Budget Control Select Committee”” (540 OE), submitted by the Social Democratic Party Faction, by which Jüri Morozov is appointed a member of the committee instead of Kajar Lember, was passed with 63 votes in favour. 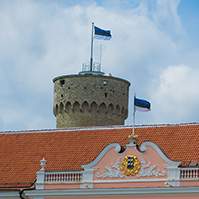 The Resolution of the Riigikogu “Approval of the Estonian Research and Development and Innovation Strategy 2014–2020 “Knowledge-based Estonia”” (529 OE), submitted by the Government, was passed with 47 votes in favour (19 votes against). The third research and development and innovation strategy takes into account the experience of the previous period, the lessons learned and recommendations from experts. Also, the tasks arising from the Constitution and other legislation, and the trends of the future. While the strategies have thus far focused particularly on the development of our research and development and innovation capacity, the aim of the new strategy is that the potential that has been created be used for the development and economic growth of Estonia. The setting of priorities is based on the smart specialisation methodology. With a view to smoother trans-field coordination, specifications have been made in management and monitoring issues. The preparation of the strategy is necessary for coherent management of the areas of activities of several ministries and for improvement of the use of European Union structural funds in order to ensure increasing competitiveness of the state in the period 2014-2020. Ene Ergma and Mart Meri took the floor during the debate. The Social Democratic Party Faction moved to suspend the second reading of the draft Resolution. The result of voting: 17 votes in favour, 36 against. The motion was not supported. The Bill on Amendments to the Value Added Tax Act (506 SE), initiated by the Government, harmonises the rules for defining the place of taxation of electronic communications services and electronically supplied services in the European Union which will enter into force as of 1 January 2015. It also provides the special scheme for applying VAT to electronic communications services and electronically supplied services. In addition, the limits of the exemption from taxes of imports of coffee and tea dispatched by parcel post from outside the European Union are brought into conformity with the requirements of the European Union. The Bill on Amendments to the Traffic Act and the Code of Misdemeanour Procedure (508 SE), initiated by the Government, establishes a system between the EU Member States for exchange of data concerning the vehicle and the owner or authorised user thereof. This will facilitate pursuing of cases of traffic offences committed with a vehicle registered in an EU Member State, except for the United Kingdom of Great Britain and Northern Ireland and Denmark, which are mostly connected with cases detected by the automatic traffic supervision system. The body which conducts proceedings concerning a misdemeanour will have the opportunity to submit a request to obtain data concerning the owners, authorised users and users of the vehicles registered in other European Union Member States. 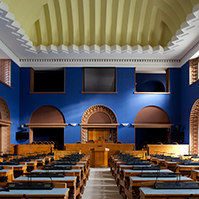 The Bill on Amendments to the Public Information Act, the Electronic Communications Act and the Emergency Act (524 SE), initiated by the Government, specifies the tasks and supervision competence of the Estonian Information System Authority and the procedure for supervision. 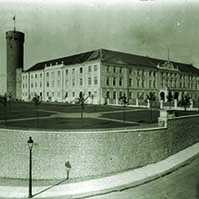 As of 1 June 2011, the Estonian Informatics Centre was reorganised into the Estonian Information System Authority. Thereby a governmental authority was established with the statutory task of exercising supervision over compliance with the Public Information Act and legislation established on the basis thereof upon taking into use of a database and administration of a database. The Bill on Amendments to the Electronic Communications Act and the State Fees Act (536 SE), initiated by the Government, amends the provisions concerning the organisation and supervision of the electronic communications field at the national level. The tasks distributed between two subunits of the Ministry of Economic Affairs and Communications will be brought into the competence of one regulator. The tasks, rights and obligations of the Competition Authority as the regulator of the communications market will be transferred to the competence of the Technical Surveillance Authority as of 1 July 2014. The amendment proposed by the Bill will ensure optimal organisation of this field. The Technical Surveillance Authority will have a legal basis to charge a state fee for reviewing an application for a television and radio services activity licence. The Draft Resolution of the Riigikogu “Approval of the Transport Development Plan for 2014-2020” (560 OE), submitted by the Government. The transport development plan for the next seven years for a large part continues the realisation of the objectives of the previous development plan for 2006–2013. The new development plan takes into account the fulfilment of the objectives set during the previous period. During seven years, the economic environment has changed and consequently so have the development needs. The EU policy and consequently the development focuses of Estonia have changed or been specified. The transport system influences the competitiveness of enterprises. 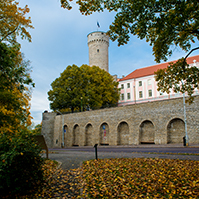 The Estonian economy being export-oriented, enterprises need high-quality cross-border connections both for importing input goods and exporting products. In view of Estonia’s location, the role of maritime transport is important in that regard. According to the development plan, the Estonian transport system must enable the free movement of people and goods in an available, convenient, safe and continuous manner.